I recently popped up to Nashville to visit my friend Caryann. It was really a veiled attempt to eat my way across yet another city. (l to r - Scott, Josie, Gresham, Caryann). These are people I enjoy standing under a sign I will now give similar affection. 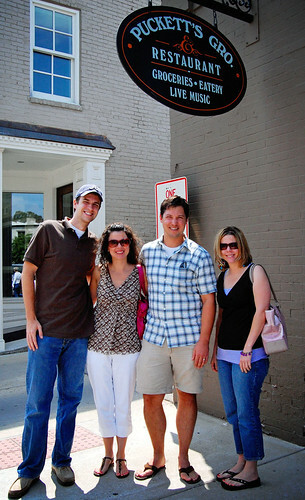 Puckett's Grocery & Restaurant has 2 locations in the metro Nashville area and we graced the Franklin store. A great "country" feel with a breakfast buffet I love so much that I'm considering shacking up with it. While in Franklin, we verified that Carrie Underwood made a good choice by choosing Ivey Cake to create her recent wedding cupcake tower. We tried the "I Do" and the "Hot Mess" and "The Breakup" and the "Crazy Ex." Devouring the "I Do" which is vanilla cake with white vanilla buttercream icing, is a moment I will always cherish. On the same block was this delightful refuge of sugar and all things pleasant. 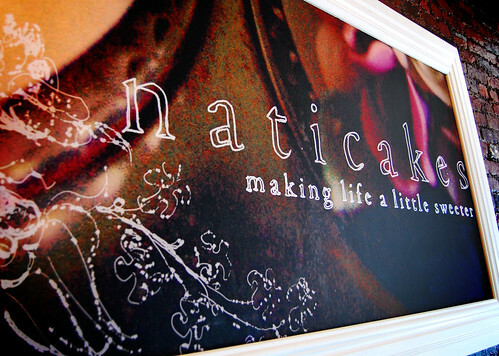 Naticakes. 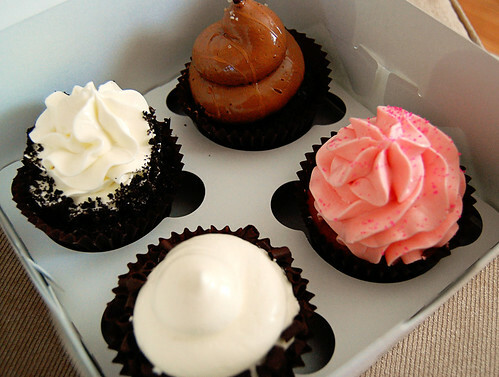 Cookies and Cream, Chocolate Salted Caramel, Pretty Princess, and Tuxedo. 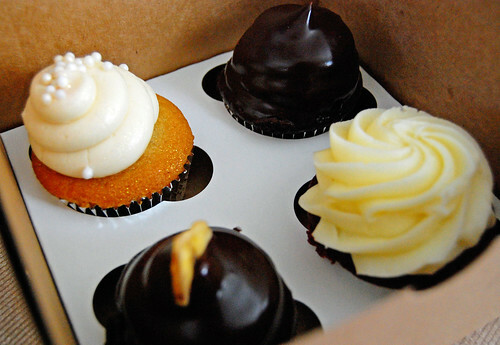 That salted caramel haunts my dreams. My suggestion? 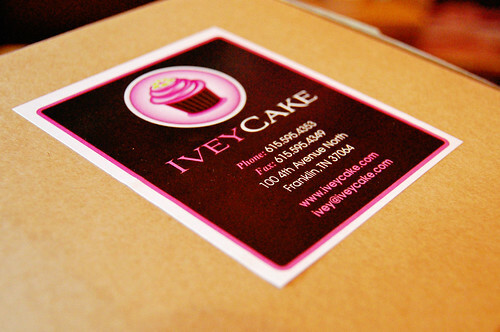 Get the "I Do" from Ivey Cake and then walk one block and buy as much as your hands can hold at Naticakes. And feel good about it since 10% of the profits support the Natalie Wynn Carter Foundation to help children around the world. Who cares about a measly inch or two added to the thighs when it's for the children? S: It loves you back. Ok clearly your priorities are the sweets but I can't believe you ate your way across Nashville and you didn't visit the White Trash Cafe?? You must remedy that on the next trip there!! MD: I've just added it to my Evernote for next trip! And this is further evidence that when you come to "visit" me, you never really come to visit me.